Jordan is an Investment Manager in the London Commercial department. In his role, he is responsible for origination and the assessment of prospective cases. 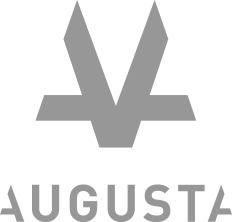 Jordan brings to his role at Augusta Ventures expertise and insight gained from ten years of practising as a barrister in both domestic and international matters. His experience includes advising and representing individuals, multinational companies, international organizations and government departments and he has appeared in negotiations, mediations, courts and international arbitral tribunals. He ‘cut his teeth’ practising in the areas of crime and extradition, after which he was instructed by the Foreign and Commonwealth Office to investigate allegations of fraud and corruption by the Chief Minister and the legislature of the Turks and Caicos Islands, British West Indies. He went on to build an international practice which dealt with white collar and regulatory matters on the one hand and public international law on the other, acting for and against organisations including the Serious Fraud Office, the United Nations, the World Bank and the North Atlantic Treaty Organization. Jordan read philosophy and logic at the London School of Economics and took an MPhil in Criminology from the University of Cambridge. He holds a Graduate Diploma in Law from City University, London and studied for the Bar at the Inns of Court School of Law.